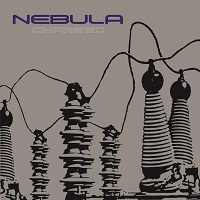 The guys at Heavy Psyche Sounds are doing a great job right now of introducing us to some quality stoner and psyche from new bands, but are also doing a great job unearthing some gems from that genre’s past, and there isn’t a gem from the past that shines much brighter than Nebula’s ‘Charged’, originally released back in 2001 on Sub Pop Records. Nebula originally formed in 1997, with the three-piece made up of guitarist Eddie Glass, drummer Ruben Romano and bassist Mark Abshire, all of whom had been members of the mighty Fu Manchu in their early years. It’s not too surprising then that Fu Manchu immediately spring to mind when you unleash the sonic assault that is ‘Charged’, which was Nebula’s second full length album. It doesn’t get much better than the album’s commanding opening cut ‘Do It Now’, a storming slice of high-octane stoner rock, with a totally killer riff with vocals to match, and manic drumming. The same can be said for the likes of ‘Giant’ and ‘Instant Gravitation’. It may be very much along the lines of what Fu Manchu went on to produce too, but every bit as good. ‘This One’ and ‘Goodbye Yesterday’ sit back a whole lot more, with use of acoustic guitar, as does ‘Travelin’ Man’s Blues’, injecting a bluesy flavour into the mix and some tasty slide guitar work. ‘Ignition’ is another high-octane killer cut with a real Stooges/Monster Magnet feel to it, and along with ‘Do It Now’ is a real outstanding moment from the album. ‘Beyond’ and ‘Shaker’ both boast a totally grooving swing, and ‘All The Way’ closes the album in epic, expansive fashion with a nine minute, tripped out, grinding slice of pure stoner rock with phasers on stun. It all adds up to an exceptionally good album of the genre. If you missed out on this one first time round, and you love your stoner rock and the likes of Fu Manchu and Monster Magnet amongst countless others, you need this album. If you opt for the CD, you get two bonus tracks, one a demo of ‘Giant’ with not brilliant sound quality, and the other a throwaway psyche pop ditty entitled ‘Cosmic Egg’, neither of which are essential. I’d opt for the vinyl. ‘Charged’ is re-released today (Friday 8 February). You can get your copy HERE.